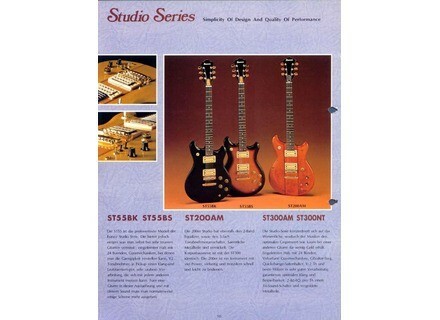 ST55, Other Shape Guitar from Ibanez in the Studio series. 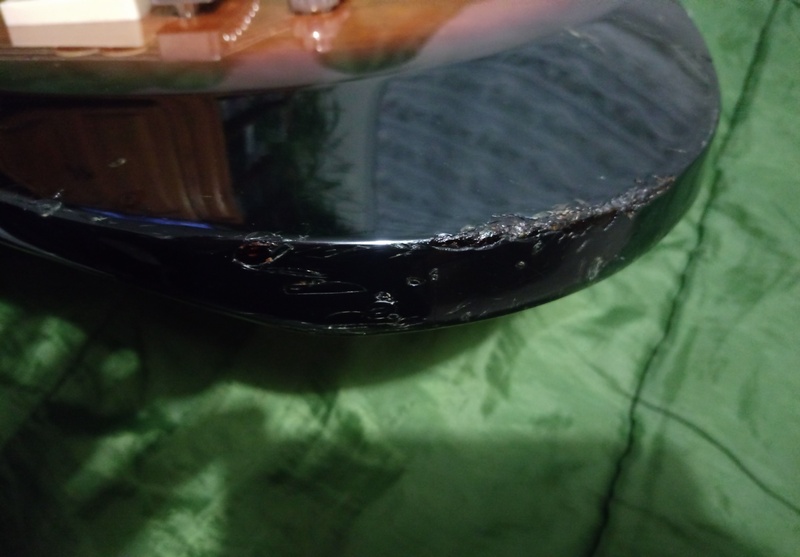 regislazy's review (This content has been automatically translated from French)" I can not separate ..."
Japanese manufacturing, this guitar was given to me in 1980. These original, with a huge gain microphones have recently been replaced by a couple SH2, SH4 Seymour Duncan. These are more accurate, more modern but less saturation and gain. The neck is a little wide, but nice. Access to acute is OK, the weight is ... very consistent. It's heavy! The violin is excellent, Mahogany. Its very correct clear as saturated. Clearly, I play on a Roland Cube 60 W Orange at the time. 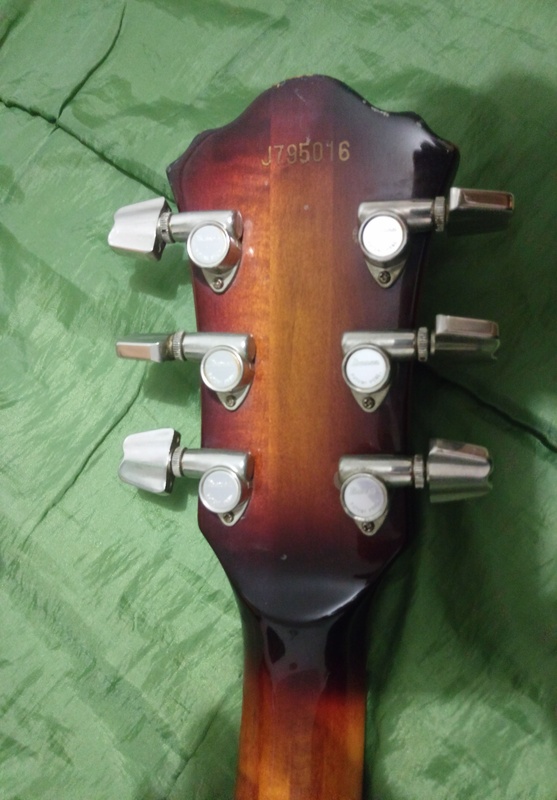 thomas.dinoto's review (This content has been automatically translated from French)" Vintage Guitar in pure"
This guitar was made in Japan, it is 1979 therefore this day 35 years! and she always wears both for me! 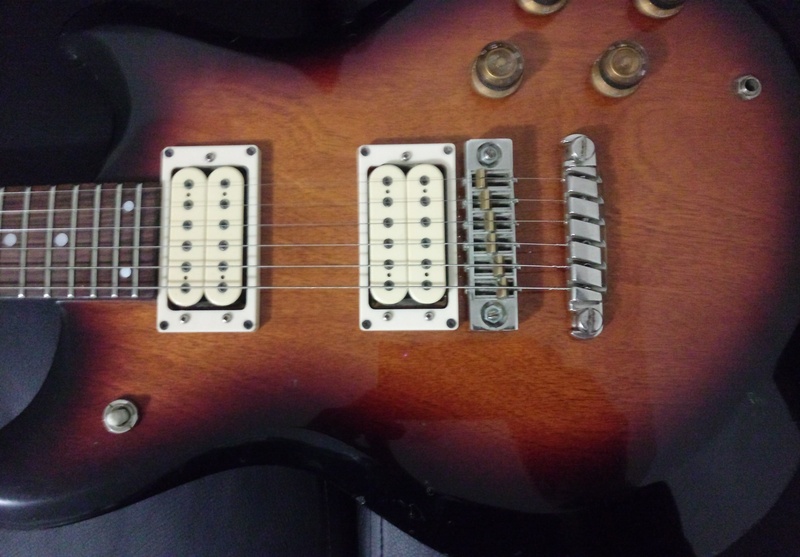 Easy to adjust, a handle 24 frets rosewood guitar, I do not know what are the original pickups, mine were changed by seymour duncan and farts thunder! 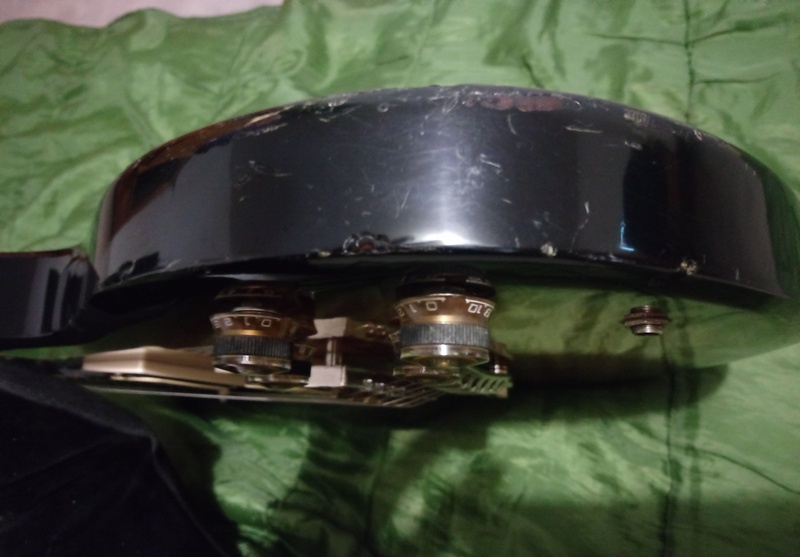 the handle, it's easy it's like a highway, add a little fast freight and it is even better, the shape of this guitar is very good, maybe its weight is too high, and the balancing with the strap, I guess, but really nothing bad I can not find any negative point about this jewelry. I play a little of everything, but especially this one sound with a lot of gain, a powerful distortion, I love it! it is perfect for my style, I play a lot of John Petrucci and she is doing really well! the clean sound is clean, the string mi (severe) and the re are very well understood, and agreed upon by powerful gain all the notes on the strings all get along very well! very good sound balance. Here it's been almost 5 years since I use it, and the idea of ​​reselling or another I never passed to the spirit, I love this guitar! 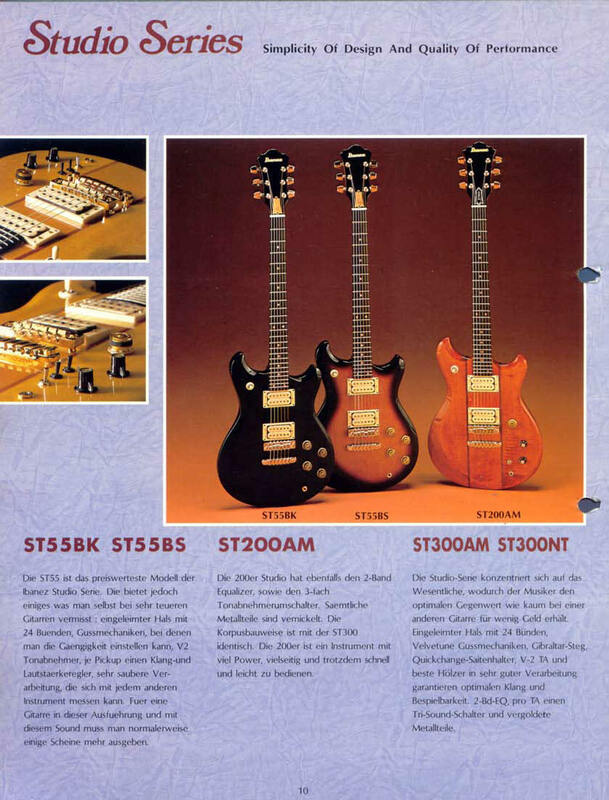 And to be honest, compared to other models from Ibanez, in prices ranging from 600 to 1100 euros, I tested many and ST55 is still my favorite! Very positive reviews for this guitar! If you find it and you buy it, keep it!